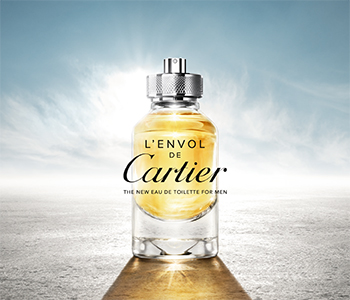 An ode to limitless determination, the Cartier L’Envol scent depicts a masculine icon, ready to embark on a heroic journey. In true Cartier style, L’Envol’s unique bottle has been carefully crafted to mirror the exquisite detail of a Cartier watch. This contrasting Eau de Parfum features a powerful and masculine composition of musk, woods and honey to elevate and empower your senses. Embodying drive, passion and energy, Mathilde Laurent, Maison Cartier Parfum’s in-house perfumer has created an olfactory exploration that depicts our inner pioneer – adventurous and motivated.